Florin Muntean is part of Elsyca’s team in Romania. He graduated from the Technical University of Cluj Napoca and holds a master’s degree from the faculty of Automation and Computer Science. He joined Elsyca in 2006, becoming one of the first engineers in the Elsyca's Romanian branch. Besides performing consulting tasks, Florin travels to customers to give onsite trainings. 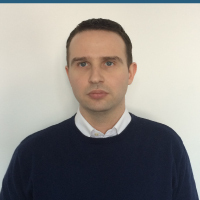 In November 2016, Florin took up the challenge to lead Elsyca’s software support team, that is also responsible for the recently launched Elsyca Support Center. Florin is married and has a baby daughter. He likes swimming and learning new things. He is a perfectionist who likes to finish what he started.